mark. Take care to ensure the bracket is centered on the post. Step 2 Mark the center of each of the slotted holes located inside the bracket. Set the bracket aside. Step 3 Predrill two pilot holes using a 1/16” drill bit at the marks you just made. Locate the bracket ensuring the bottom of the bracket is aligned with your mark at 39 3/4” above the top of the base plate. mark. Take extra care to ensure the bracket is centered on the post. Mark the center of each mounting channel located inside the bracket. Set the bracket aside. Step 3 Install top and bottom rail and begin installing the Century System. Step 1 Measure from the top of the post base plate up 34 1/8” and mark this location. 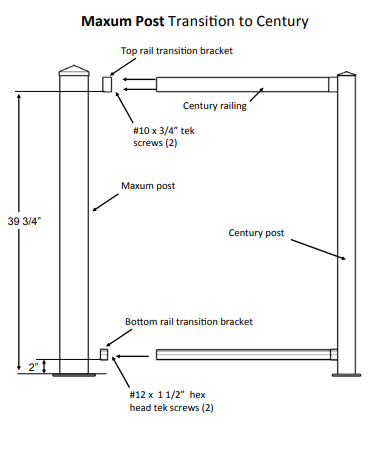 Locate the top rail transition bracket ensuring the bottom of the bracket is aligned with the 34 1/8” mark. Take care to ensure the bracket is centered on the post.  your 34 1/8” mark. Tighten screws securely (DO NOT OVER TIGHTEN). cut down to 31 7/8”. 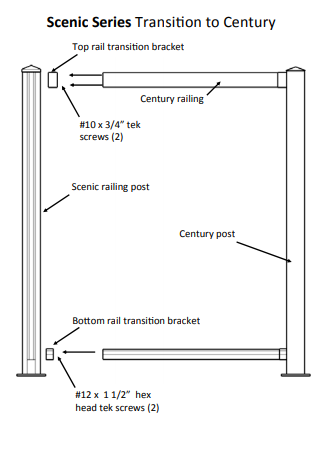 Continue installing the railing as per the Century Railing instructions. 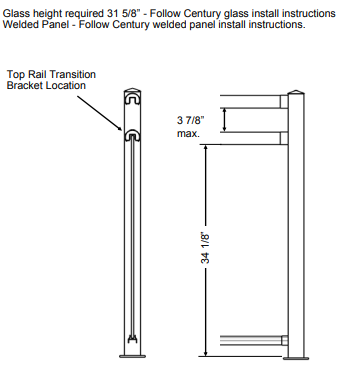 Welded Panel – Follow Century welded panel install instructions. 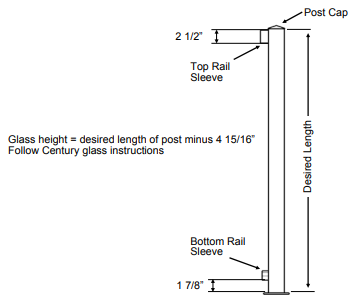 Step 1 Once Post is cut to desired length and before reinstalling the post cap, measure 2 1/2” down from the top of the post and mark this location. Locate the top rail transition bracket with the bottom of the bracket aligned with the 2 1/2” mark. Take care to ensure the bracket is centered on the post. Step 3 Predrill two pilot holes using a 1/16” drill bit at the marks you just made. Locate the bracket ensuring the bottom of the bracket is aligned with your mark at the 2 1/2” mark from the top of the post. your mark. Tighten screws securely (DO NOT OVER TIGHTEN). Step1 Measure from the top of the post base plate up the post 1 7/8” and mark this location. Locate the bottom rail transition bracket ensuring the bottom of the bracket is aligned with the 1 7/8” mark. Take extra care to ensure the bracket is centered on the post. Mark the center of each mounting channel located inside the bracket. Set the bracket aside. the base plate. Install 2 #12 x 1 1/2” hex head tek screws through the bracket and into the post. Check to ensure the bracket is at correct height and centered. Tighten screws securely (DO NOT OVER TIGHTEN). Step 3 Install top and bottom rail and begin installing the railing as per the Century Railing instructions.